This blog is a technical resource for developers and network support engineers and managers as well as providing an insight into the development of our application launcher, network automation and network audit & documentation products. 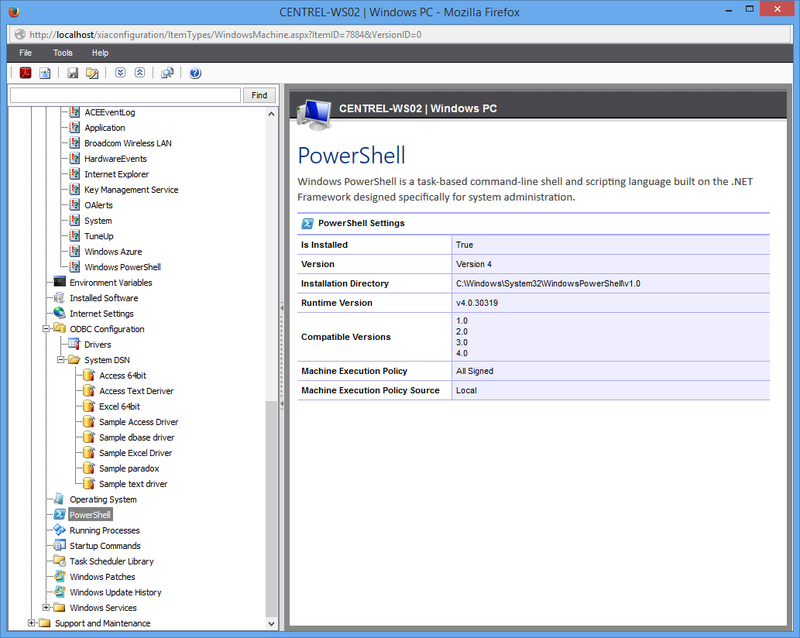 If you're looking to find out how Windows determines the execution for PowerShell the following maybe helpful. Regardless of the version of PowerShell the following registry key is used. This can be set to one of the following values and you can set this value remotely using regedit. However if Group Policy (either through the local Group Policy editor or using Active Directory) is used the following setting override this. If the Group Policy key exists but is set to an invalid value then Restricted is used (the local machine setting is ignored). 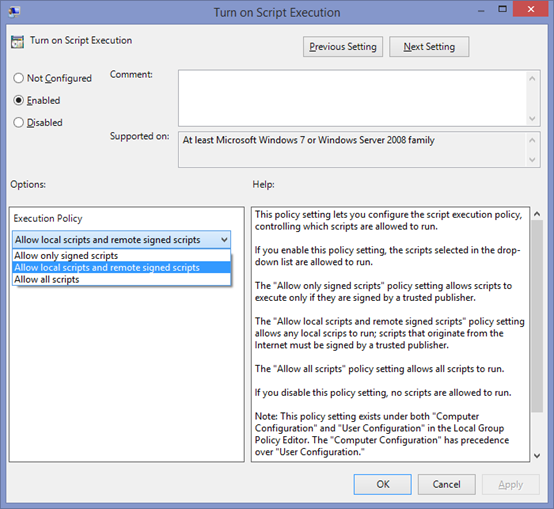 If the Group Policy key exists but the value is empty the Group Policy setting is ignored and the local setting used. If the registry key does not exist or is set to an unknown value then Restricted is used. 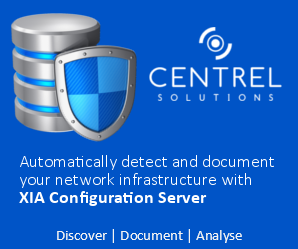 If this sounds a bit tiresome why not check out the latest version of our Windows and Network Audit Tool, XIA Configuration Server which will do all of the detection for you.